A new year is approaching and it’s time to set your goals and habits and define your intentions for 2019. I always feel like a new year is a fresh start and can be anything you want it to be. I have been setting goals and tracking my accomplishments for years. I credit goal setting (using the S.M.A.R.T. method) for helping me achieve a high GPA in undergrad, getting accepted into law school and my continued success in the practice of law. 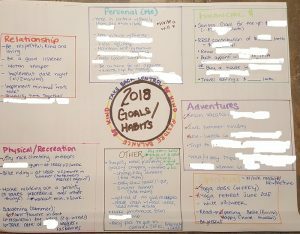 I also credit charts that I have made to track certain goals and my progress, and vision boards, to getting what I want in life. Visually seeing your goals every day in 1 or more places is a powerful reminder of your intentions, goals and habits. I highly recommend having a visual reminder. Over the years, I have tried many different types of goal setting, but now this is the method that works for me. I create a 1 page mind-map that has all my goals, habits and intentions for the year mapped out. Note that the mind-map doesn’t have all the S.M.A.R.T. factors in it because it is only 1 page, and I use another method to implement the goals and habits. See my other article on How to Stick to Your Goals and Habits. I highly recommend breaking down this goals, habits and intentions exercise into a couple separate sessions. Don’t try to do it all at once because you will likely get tired, not find it enjoyable, and put too much pressure on yourself to just complete it. This is one of those “it’s more about the journey than the destination” scenarios. 1. brainstorm ideas – see the questions I ask myself below to help me brainstorm and generate ideas. 2. research online – I have researched anything from how to set goals and habits; how to stick to goals and habits; electronic planners and calendars; hardcopy planners and calendars; tips for goal setting; the best indoor rock climbing facilities in town and their reviews; best pens for writing in planners; money saving tips; personal finance; how to track goals and habits; and other people’s ideas for goals and habits. 3. reflect inwardly as to what I want for myself in the new year and the life I want for myself. Below are my favourite pens to use when I am working on my mind-map and in my planners. If you like ballpoint pens then I recommend the BiC Atlantis Original Retractable Fashion Ball Pen. If you like gel pens, then I recommend the Paper Mate Rollerball Gel. I have used A LOT of different kinds of pens, and these ones are by far the ones I recommend. g. a volunteer, successful entrepreneur, traveller? g. Family, community, paying off debt, travelling, building wealth? Are there any courses I want to take or projects I want to start or continue? g. cooking, learn a new language, computer, photography? What do I enjoy doing? And if I enjoy something, then do I want to do more of it? If so, how do I incorporate more of it in my life? What do I hate doing? Can I eliminate what I hate from my life? If so, how? Who do I want to spend more time with? Does this mean I need to travel more to see them? If I have to travel to see them, where do I find the money in my budget to make that happen? To buy a car? To pay off my car? To buy my own place? To pay off my own place? To start my own business? 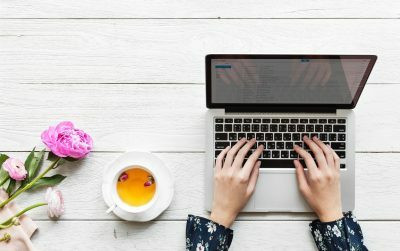 To start my own website? What can I do this year to get closer to my long term goal? When I set my goals, habits and intentions, it is not just a “carry forward” of all the things I was not able to accomplish the previous year. 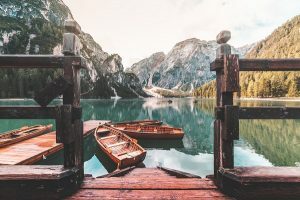 It’s a reflection on whether I am the person I want to be and whether my values (which do change over the years) are reflected in my goals, habits and intentions for the next year. I consider whether I need to put less pressure on myself e.g. less goals or habits this year so that I can focus on a specific goal category (e.g. Finance – debt repayment) or whether I need to work harder to accomplish my goals. If life circumstances ever change in the year, though, they can always be revised. And, I have revised my goals and habits when they have become “too much”. I am a huge fan of using different coloured pens or font for each category, so it’s visually appealing and fun to create. To help you start your mind-map and come up with your goals, habits and intentions, let’s walk through my 2018 goals, habits and intentions. I have set these all out to help you in brainstorming and in preparing your own goal setting mind-map. What are your intentions for the new year? Think of this as your theme or purpose for 2019. What do you want to focus on? It could be a word or a phrase. Once you have your intention or intentions, this will help focus your goals to ensure they are RELEVANT to your overall life plan. In 2017, I noticed that when I became really stressed out, I took it out on others close to me who didn’t deserve to be treated that way. I didn’t like who I was becoming, so I promised myself I would consciously monitor my behaviour and remember to be kind. This was meant to remind me that there were categories other than my career that I wanted to focus on in my life and not forget about. It’s easy to get busy and forget about the other categories in our lives, and I didn’t want to let myself forget. Focusing on the other categories allows me be a better person, friend and lawyer. Your turn: What will be your intention(s) for 2019? Actionable Tip: Notice my use of the words “I will …” – I prefer this way because it’s phrased in the first person and in a way that holds me accountable. Goal: I will save $[amount you will save] every month. I will save that money in my high interest savings account. At the end of the year, that account will have $[money goal for the year]. Goal: I will contribute $[amount you will contribute] to my Registered Retirement Savings Plan (equivalent to a 401K) each month, which will total $[X] at the end of the year. Habit: I will read [insert book on money that you will read] / I will listen to [insert name of] podcast on money and personal finance weekly. For my money book recommendations click here. 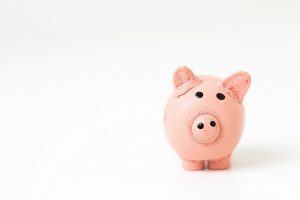 Goal: I will book an appointment with [bank] to make my Tax Free Savings Account an investing account rather than just a savings account, so I can take advantage of the tax free interest. Goal: I will save $[amount] for travel this year. Habit: I will create a budget for each month. Here is the budget resource I use. 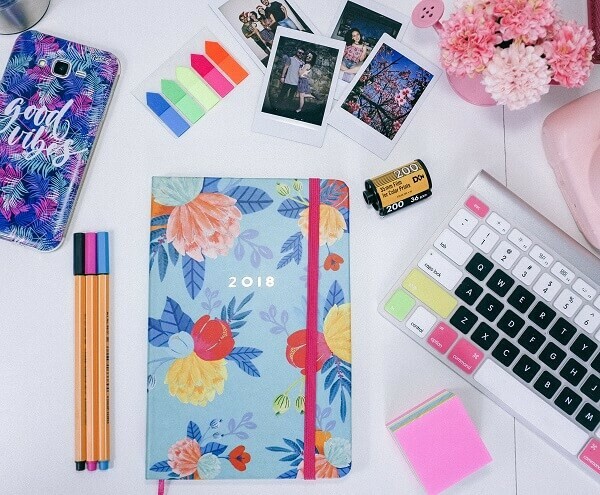 Habit: I will track my expenses monthly by writing down in my journal every purchase on a daily basis. 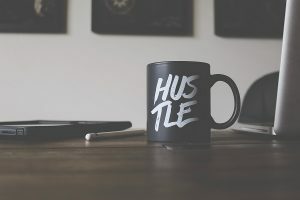 Actionable Tip: If you have never set habits for yourself and this is your first time, I recommend implementing 1 new habit a month (so 12 habits in the year). Experts say that it takes at least 20 days for something to become a habit, and even then I have found that you have to do something to keep the habit going. I track my habits daily (or at least I try to). Goal: I will attend my meditative yoga class. 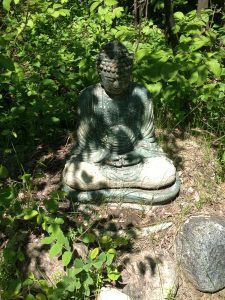 Habit: I will meditate nightly for 10 minutes. Habit: I will write morning pages at least 3 times a week. Goal: I will be present. Goal: I will attend the yoga retreat in [destination] in the summer. Goal: I will schedule a date night for 1 day every 2nd month, and we will have a date night. Goal: I will be respectful, speak kind words (think before you speak) and be loving to [name of significant other]. Actionable Tip: to measure this, I ask him every night and during my weekly check-in if I have accomplished this goal. 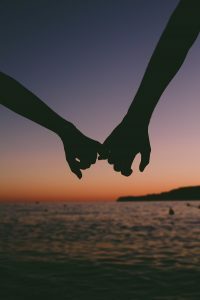 Goal: I will listen when [name of significant other] is speaking to me. I will not play on my cellphone or be on Facebook while we are talking. Goal: I will watch my temper. I will do this by focusing on my breathing and speaking kind words (if I have nothing nice to say, don’t say it) when I notice that I am getting angry. Goal: I will not let work be the only conversation I have with my significant other. Goal: I will keep in contact with my family [list the names of your family members] by [detail how you will keep in contact with each of them e.g. calling my dad every Saturday evening]. Goal: I will donate $[X] to the food bank in December. Goal: I will volunteer at [insert place or event you will volunteer] every month. Goal: I will be active and exercise at least 3 times a week, whether that is at the gym, outside or an exercise class. 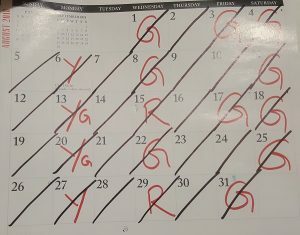 Actionable Tip: To track my progress visually, on the family calendar in the kitchen, I put a big “G” in red on the date I went to the gym, “Y” if I went to yoga and “R” if I went for a run, etc. This helps me see my progress and I get concerned when 4 days have gone by and I have not been active. Goal: I will go on a bike ride at least 2 times a month in the summer. Habit: I will swallow 1 Omega pill every morning. Habit: I will floss my teeth at least 5 days this week. Goal: I will plant flowers in the front of the house and water them and deadhead the flowers as needed. I will maintain the yard by pulling weeds. Goal: I will make a photobook of our trip to [insert destination] by the end of the year. Goal: I will be on time for all appointments and events. I will not make people wait for me. (That’s disrespectful and rude). Goal: I will meet with a lawyer who does wills and get a will. Goal: I will apply to get a Nexus. I will paint my nails every Sunday night. I will get my eyebrows done every month. I like to travel and I try to build that into my goal planning sessions. I list out all the places I plan to travel that year and when those trips might be. I have a separate long list of places I want to travel, so I refer to that list to see what destination is next. This leads us to my next article on How to Stick to Your Goals and Habits in 2019. Click here. 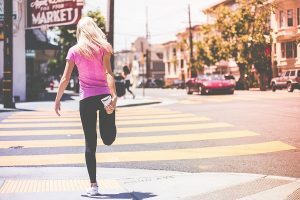 You may also want to read my newest post on 10 ways to live your best life in 2019! Check out this article but also check out Natalie Bacon’s other related articles on goals. For habits, check out The Habits Guide: How to Build Good Habits and Break Bad Ones and James Clear’s resources. Specific (clear); Measurable (quantitative or qualitative attribute); Achievable (attainable); Relevant (relevant to your overall plan for your life); and Timely (with a timeline or deadline).